With the Profound SIT system you check the pile shaft for defects or irregularities. It is a widely used measurement method to check the integrity of concrete foundation piles. The Profound SIT system is a widely used measurement method to check the integrity of concrete foundation piles. It is a quick non-destructive method to reduce the risk upon failure of cast-in-situ or prefab piles. • The SIT series is used for advanced interpretation and efficient management of pile measurement data. •	The SIT series checks the pile shaft for defects or irregularities. • The SIT series indicates whether the foundation pile will be capable of passing on the load to the bearing layers. 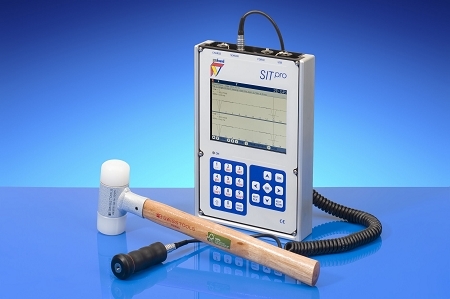 • The SIT series performs a test by hitting the pile head with a hand-held hammer and measuring the response on the head with the sensitive and light weight SIT-accelerometer. 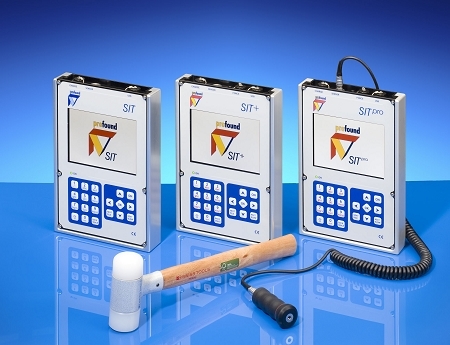 • The SIT series consists of an acceleration sensor, hammer, cables and robust data acquisition and signal processing unit including full colour screen. 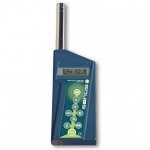 • The SIT series presents a measurement signal directly on screen, enabling a direct check of the quality of the measurement. • The SIT series meets national and international standards such as ASTM D5882-07, EA-Phähle, AFNOR NF P94-160-2 and NF P94-160-4, CUR aanbeveling 109. • The SIT series is available in three models: SIT, SIT+ and SITpro. The standard SIT version (SIT.20100) has more than sufficient capacity and functionality to carry out integrity testing for quality control purposes and field checks on foundation piles. The SIT+ (SIT.20200) has been especially designed for frequent everyday use with up to 8 hours batter life and enhanced processing capabilities. The of the line SITpro (SIT.20300) is equipped with all first-rate features including expert dedicated analysis software.